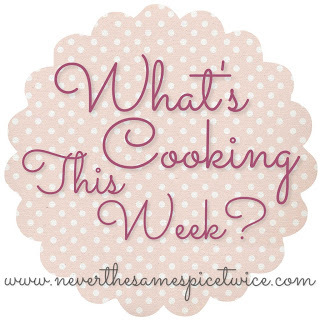 Dear El + Em: Who can even THINK about cooking this week? Friday: Moving Day!!! If I have to guess, I'd say we are having Subway for dinner! As if things aren't crazy enough over here with packing for the big move, I go back to work tomorrow. If you're thinking "why didn't they just move before Steph went back to work?" just know I tried....oh, how I tried to time this better. This is life, you can't expect perfect timing. One plus is that I do have Friday off of work, so Ella will go to the sitter and come home to a brand new home! Now THAT is going to be fun! Speaking of the babes, she obviously knows something is up. She's been so whiney and clingy and well...a hot little mess if I'm honest! I think in addition to our lives being in a total uproar right now, she is also experiencing that yucky low-grade teething fever (everyone tells me that's a thing). She just isn't herself, hasn't been all weekend. After all this chaos it will be so worth it, but it's tough doing work around the apartment when all she wants is our undivided attention. My poor baby! Maybe this nap is just the refresher she needs? If not, I'm pulling out the big guns - Baby Einstein marathon!!! I use it for emergencies only! Thursday, we received final word that we were closing on Friday around 1:00. It really got down to the last minute. Friday, we closed on the house! 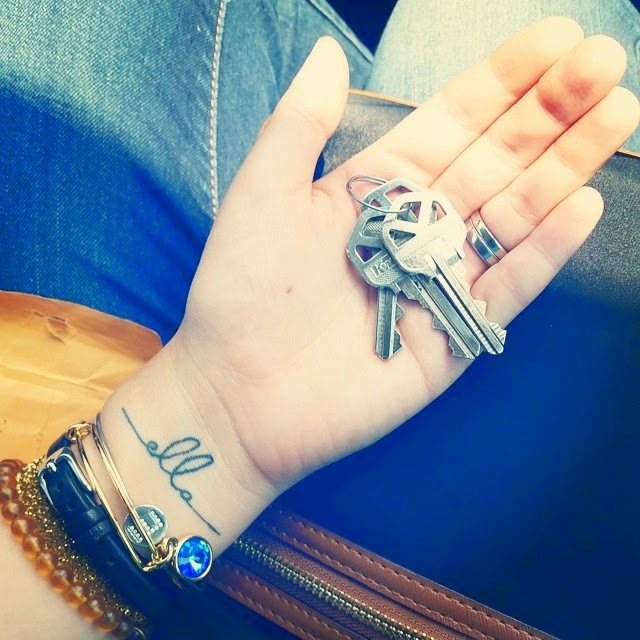 Once those keys were in my hand I didn't want to let go. I also wanted to spend the day just laying on the floor in the family room, but there was WAY too much stuff to do. I'll have to take a raincheck on that! Yesterday, we bought curtains and an area rug. Stephen hung blinds in all of the bedrooms. We also cracked open a bottle of champagne and did some major packing. Today, Hubs just bought all of the paint and we made a day by day "game plan" leading up until Friday. Busy, busy - as you can see! In between packing, I'm also somehow going to make a giant batch of baby food for Ella. We are running low on fruit! At this rate she will be eating beef stew for breakfast. I better get on that! I hope you're all having a nice weekend. Ours is anything but relaxing, but I know it's going to pay off real soon! We're almost there! Yesssss! Did you enter the latest giveaway yet? Click HERE to enter to win a free custom business card design by Sombras Blancas Art & Design!!! Oh how exciting, hope everything goes smoothly! !